What happens when you are exposed to electromagnetic fields? Exposure to electromagnetic fields is not a new phenomenon. However, during the 20th century, environmental exposure to man-made electromagnetic fields has been steadily increasing as growing electricity demand, ever-advancing technologies and changes in social behaviour have created more and more artificial sources. Everyone is exposed to a complex mix of weak electric and magnetic fields, both at home and at work, from the generation and transmission of electricity, domestic appliances and industrial equipment, to telecommunications and broadcasting. Tiny electrical currents exist in the human body due to the chemical reactions that occur as part of the normal bodily functions, even in the absence of external electric fields. For example, nerves relay signals by transmitting electric impulses. Most biochemical reactions from digestion to brain activities go along with the rearrangement of charged particles. Even the heart is electrically active – an activity that your doctor can trace with the help of an electrocardiogram. Low-frequency electric fields influence the human body just as they influence any other material made up of charged particles. When electric fields act on conductive materials, they influence the distribution of electric charges at their surface. They cause current to flow through the body to the ground. Low-frequency magnetic fields induce circulating currents within the human body. The strength of these currents depends on the intensity of the outside magnetic field. If sufficiently large, these currents could cause stimulation of nerves and muscles or affect other biological processes. Both electric and magnetic fields induce voltages and currents in the body but even directly beneath a high voltage transmission line, the induced currents are very small compared to thresholds for producing shock and other electrical effects. Heating is the main biological effect of the electromagnetic fields of radiofrequency fields. In microwave ovens this fact is employed to warm up food. The levels of radiofrequency fields to which people are normally exposed are very much lower than those needed to produce significant heating. The heating effect of radiowaves forms the underlying basis for current guidelines. Scientists are also investigating the possibility that effects below the threshold level for body heating occur as a result of long-term exposure. To date, no adverse health effects from low level, long-term exposure to radiofrequency or power frequency fields have been confirmed, but scientists are actively continuing to research this area. Biological effects or health effects? What is a health hazard? Biological effects are measurable responses to a stimulus or to a change in the environment. These changes are not necessarily harmful to your health. For example, listening to music, reading a book, eating an apple or playing tennis will produce a range of biological effects. Nevertheless, none of these activities is expected to cause health effects. The body has sophisticated mechanisms to adjust to the many and varied influences we encounter in our environment. Ongoing change forms a normal part of our lives. But, of course, the body does not possess adequate compensation mechanisms for all biological effects. Changes that are irreversible and stress the system for long periods of time may constitute a health hazard. An adverse health effect causes detectable impairment of the health of the exposed individual or of his or her offspring; a biological effect, on the other hand, may or may not result in an adverse health effect. It is not disputed that electromagnetic fields above certain levels can trigger biological effects. Experiments with healthy volunteers indicate that short-term exposure at the levels present in the environment or in the home do not cause any apparent detrimental effects. Exposures to higher levels that might be harmful are restricted by national and international guidelines. The current debate is centred on whether long-term low level exposure can evoke biological responses and influence people’s well being. A look at the news headlines of recent years allows some insight into the various areas of public concern. Over the course of the past decade, numerous electromagnetic field sources have become the focus of health concerns, including power lines, microwave ovens, computer and TV screens, security devices, radars and most recently mobile phones and their base stations. In response to growing public health concerns over possible health effects from exposure to an ever increasing number and diversity of electromagnetic field sources, in 1996 the World Health Organization (WHO) launched a large, multidisciplinary research effort. The International EMF Project brings together current knowledge and available resources of key international and national agencies and scientific institutions. Conclusions from scientific research In the area of biological effects and medical applications of non-ionizing radiation approximately 25,000 articles have been published over the past 30 years. Despite the feeling of some people that more research needs to be done, scientific knowledge in this area is now more extensive than for most chemicals. Based on a recent in-depth review of the scientific literature, the WHO concluded that current evidence does not confirm the existence of any health consequences from exposure to low level electromagnetic fields. However, some gaps in knowledge about biological effects exist and need further research. Effects on general health Some members of the public have attributed a diffuse collection of symptoms to low levels of exposure to electromagnetic fields at home. Reported symptoms include headaches, anxiety, suicide and depression, nausea, fatigue and loss of libido. To date, scientific evidence does not support a link between these symptoms and exposure to electromagnetic fields. At least some of these health problems may be caused by noise or other factors in the environment, or by anxiety related to the presence of new technologies. Effects on pregnancy outcome Many different sources and exposures to electromagnetic fields in the living and working environment, including computer screens, water beds and electric blankets, radiofrequency welding machines, diathermy equipment and radar, have been evaluated by the WHO and other organizations. The overall weight of evidence shows that exposure to fields at typical environmental levels does not increase the risk of any adverse outcome such as spontaneous abortions, malformations, low birth weight, and congenital diseases. There have been occasional reports of associations between health problems and presumed exposure to electromagnetic fields, such as reports of prematurity and low birth weight in children of workers in the electronics industry, but these have not been regarded by the scientific community as being necessarily caused by the field exposures (as opposed to factors such as exposure to solvents). Cataracts General eye irritation and cataracts have sometimes been reported in workers exposed to high levels of radiofrequency and microwave radiation, but animal studies do not support the idea that such forms of eye damage can be produced at levels that are not thermally hazardous. There is no evidence that these effects occur at levels experienced by the general public. Electromagnetic fields and cancer Despite many studies, the evidence for any effect remains highly controversial. However, it is clear that if electromagnetic fields do have an effect on cancer, then any increase in risk will be extremely small. The results to date contain many inconsistencies, but no large increases in risk have been found for any cancer in children or adults. A number of epidemiological studies suggest small increases in risk of childhood leukemia with exposure to low frequency magnetic fields in the home. However, scientists have not generally concluded that these results indicate a cause-effect relation between exposure to the fields and disease (as opposed to artifacts in the study or effects unrelated to field exposure). In part, this conclusion has been reached because animal and laboratory studies fail to demonstrate any reproducible effects that are consistent with the hypothesis that fields cause or promote cancer. Large-scale studies are currently underway in several countries and may help resolve these issues. Electromagnetic hypersensitivity and depression Some individuals report “hypersensitivity” to electric or magnetic fields. They ask whether aches and pains, headaches, depression, lethargy, sleeping disorders, and even convulsions and epileptic seizures could be associated with electromagnetic field exposure. controlled conditions of electromagnetic field exposure. Nor is there any accepted biological mechanism to explain hypersensitivity. Research on this subject is difficult because many other subjective responses may be involved, apart from direct effects of fields themselves. More studies are continuing on the subject. The focus of current and future research Much effort is currently being directed towards the study of electromagnetic fields in relation to cancer. Studies in search for possible carcinogenic (cancer-producing) effects of power frequency fields is continuing, although at a reduced level compared to that of the late 1990’s. The long-term health effects of mobile telephone use is another topic of much current research. No obvious adverse effect of exposure to low level radiofrequency fields has been discovered. However, given public concerns regarding the safety of cellular telephones, further research aims to determine whether any less obvious effects might occur at very low exposure levels. * A wide range of environmental influences causes biological effects. ‘Biological effect’ does not equal ‘health hazard’. Special research is needed to identify and measure health hazards. * At low frequencies, external electric and magnetic fields induce small circulating currents within the body. In virtually all ordinary environments, the levels of induced currents inside the body are too small to produce obvious effects. * The main effect of radiofrequency electromagnetic fields is heating of body tissues. * There is no doubt that short-term exposure to very high levels of electromagnetic fields can be harmful to health. Current public concern focuses on possible long-term health effects caused by exposure to electromagnetic fields at levels below those required to trigger acute biological responses. * WHO’s International EMF Project was launched to provide scientifically sound and objective answers to public concerns about possible hazards of low level electromagnetic fields. * Despite extensive research, to date there is no evidence to conclude that exposure to low level electromagnetic fields is harmful to human health. * The focus of international research is the investigation of possible links between cancer and electromagnetic fields, at power line and radiofrequencies. 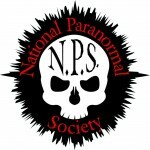 I was awakened to the reality of the paranormal at the age of 12 while at a friend’s home. What happened that one night back in 1983 kept me awake for three days. After that incident I was left with many questions. My determination to find answers to what had happened that night became an obsession that would lead me down a path into investigating the paranormal. I found myself consumed by these strange anomalies that were captured on video, audio and photographs, and the strange feelings and sensations I would have from walking into old buildings or a person’s home. For nearly 30 years, I have dedicated myself to finding these answers by using a scientific approach to fully understand and bring explanations to those who seek help and who are experiencing themselves the same things I experienced some 30 years ago. I can say that out of all of the cases I have investigated over the years as a paranormal investigator, 99% can be explained as a product of environment. There is, however, that 1% that can only be considered Beyond The Grave.